Clinical trials are the engine that feeds innovation for the biopharmaceutical industry. At any given time, 6,000 clinical trials are enrolling participants across the globe — patients with cancers, serious conditions, or one of 7,000 rare diseases. 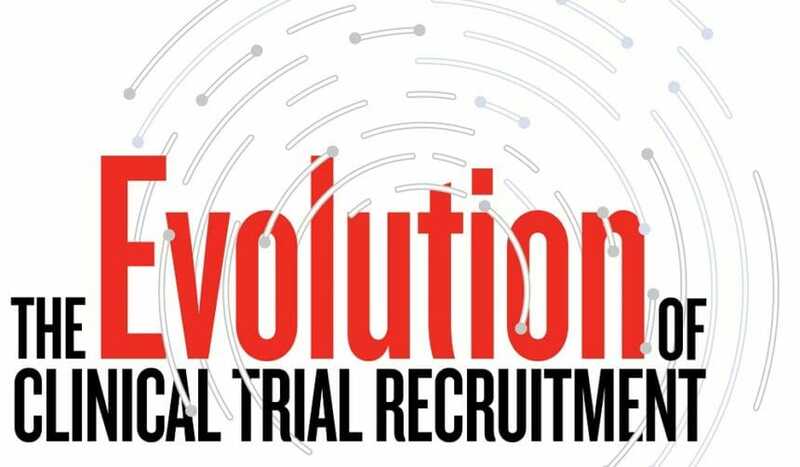 Not surprisingly, enrolling trial participants has become a core competency, required of biopharma companies to complete clinical studies and move on to regulatory filing and approvals. And still patient enrollment is often cited by companies as one of the most significant barriers to conducting clinical trials. Failure to enroll sufficient numbers of patients can result in costly delays or even cancellation of the entire trial. In fact, roughly 80% of clinical trials fail to meet enrollment timelines and approximately one-third of Phase III study terminations are due to enrollment difficulties. In addition, 15% to 20% of sites never enroll a single patient. Here’s the basic truth: Without patients, there’s no trial. That’s why the obstacles and inefficiencies that plague clinical trial enrollment must be reduced via an infusion of technology and a big dose of patient-centricity. For anyone with an entrepreneurial mind and a high tolerance for risk, clinical trial enrollment presents a perfect opportunity. Here are the steps the industry needs to take. The enrollment process best resembles a funnel. It is initially wide, but narrows considerably as inclusion and exclusion criteria are applied and as patient location, availability, and willingness to participate come into play. Interested parties must seek out opportunities to use technology to minimize each potential disruption so that more patients are included at the mouth of the funnel and fewer are eliminated due to logistical reasons. When it comes to clinical trial enrollment, patients want to find out about research opportunities as soon as possible, and they want the ability to sign up or prescreen, ideally online, for clinical studies. They want fewer phone calls, no voicemails, and more control over scheduling and rescheduling screening visits. They want to be able to summon transportation without red tape and access their medical records quickly and easily. How about clinical trial sites? They want more eligible patients to manifest at a steady rate, a system to organize and track these patients, and support from the sponsor to arrange for transportation or in-home testing. And the biopharmaceutical sponsors of the research? They want steady progress toward complete enrollment, accelerated enrollment, and to know — in real time — the study’s enrollment status. Together, these three stakeholder groups can help design the future of clinical trials, a future when clinical trials are efficiently enrolling all over the world. And technology, within and outside pharma, is already helping the industry move in that direction. Patients often share that they may not ever find out about a clinical trial. If their doctor is not participating in the study, they say, then why would he or she let patients know about the clinical trial? And how long will it take to inform them? In the future, every clinical trial will be advertised on mass channels such as Facebook, with targeting so sophisticated any likely participant will be offered the opportunity to participate. But trial enrollers are currently falling short: A mere 11% of organizations currently recruit patients through social media. In the future, it will not be enough to simply inform patients about a clinical trial. Instead, we must provide them an actionable way to prescreen, sign up, and opt-in to be contacted. While clinicaltrials.gov provides a comprehensive listing of trials, it suffers from two key problems. One, the study descriptions are not easily understood by the average patient. And two, there is no actionable way to prescreen. At some point, each study should have an online prescreening mechanism that allows patients to find out if they are eligible and, if so, continue the enrollment process. Consolidate and transfer medical records. Once we’ve gotten the patient to a screening visit, the next major hurdle is the consolidation and transfer of medical records — two activities that do not occur with any degree of predictability or efficiency today. For patients with complex or severe conditions, the process may take weeks or months, and oftentimes becomes the responsibility of an already overtaxed caregiver. In the future, we must develop a central, secure repository of medical records that can be accessed by patient or caregiver for easy transfer and use by the clinical trial site. Just as they summon Lyft and Uber drivers with their phones, what if clinical trial participants could summon nurses to help complete diagnostics and forms required during the screening or later visits? Patients are often overburdened by the number of study visits and the slew of blood tests and other diagnostics required. Bringing the ones that don’t require a clinical environment right to the patient’s living room would significantly increase enrollment. The in-home tests could be conducted using an app, a wearable, or a diagnostic device specifically designed for the task at hand. But it won’t happen until regulators get on board with the process, expediting the review of these tracking systems and enabling implementation. Sandra Shpilberg is founder and CEO of Seeker Health.